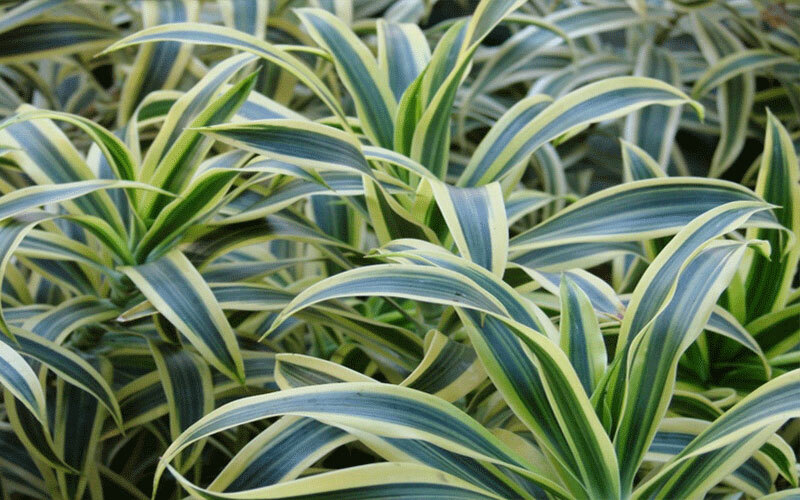 Song of India is a carefree houseplant with a robust and tropical appearance. 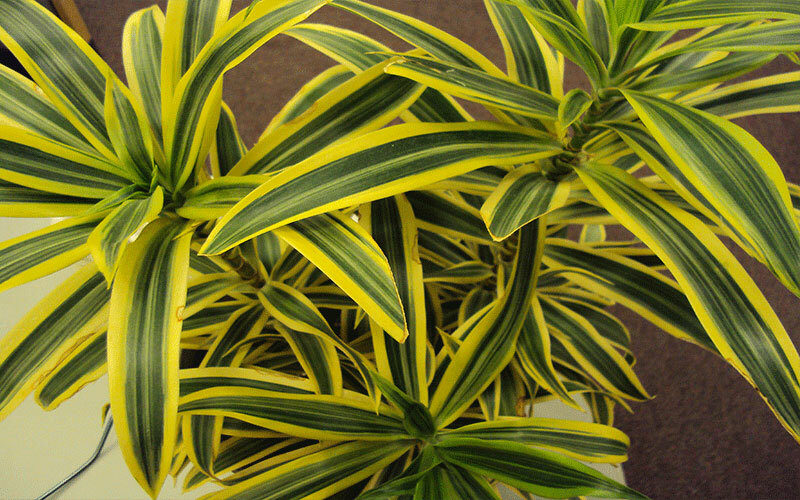 It is widely used for both home and office plantings. Upright and bushy, this loosely tufted, self-branching plant is a stylish addition to any interior It can be kept both in shade as well as in the sun. The glow of the leaves however tends to fade in shade, where as it stands out in the sun. The foliage will stay dense till the base if the plant is kept in sufficient light. Plant in spring, summer, or fall, spacing plants 3 feet apart or closer if you want a hedge line. Dig a hole only as deep as the root ball and 2 to 3 times as wide. If your soil is in very poor condition, amend the soil you've removed from the hole with a small amount of compost. This is an upright and bushy plant, with loosely tufted leaves. 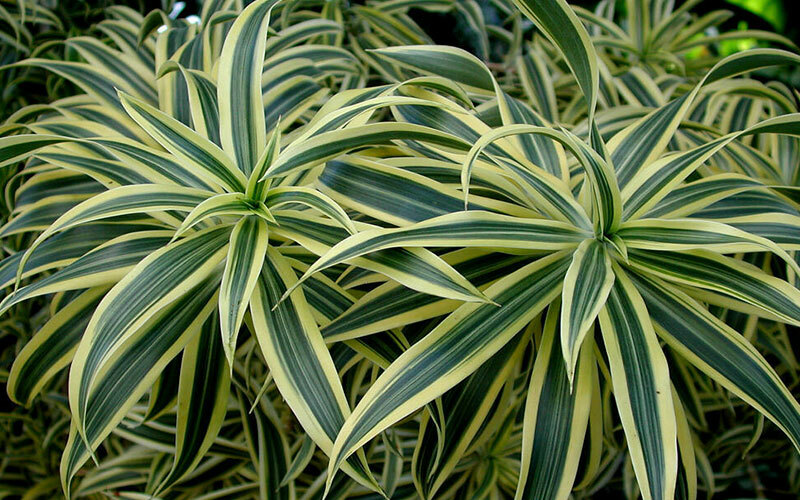 The leaves are spiky, with a wide center stripe of dark green, and an outer edge of chartreuse. 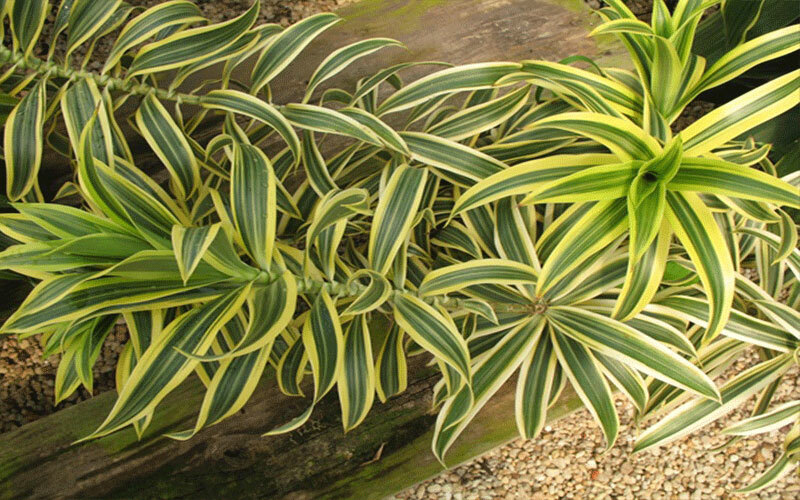 Although it is generally grown as a houseplant, it can be grown outdoors in zones 8+. It is a houseplant / ornamental and is treated mainly as a perennial, so it grows best over a period of time (3 years and greater). Song of India is great for inexperienced gardeners and those that like low maintenance gardens.